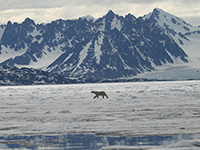 The Arctic region comprises a massive, ice-covered ocean, surrounded by treeless permafrost. The Arctic Ocean and parts of Canada, Russia, Greenland, the United States, Norway, Sweden, Finland, and Iceland make up the entire Arctic region. It can be identified as the region north of the Arctic circle. The winters in this region are long and cold whereas the summers are short and cool. Some parts of the Arctic are permanently covered in ice all read round while there are few regions where the ice melts during the summer and then re-forms as winter approaches. 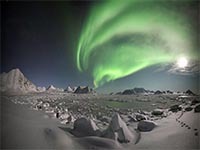 The stunning Aurora Borealis i.e. the northern lights can be seen here. 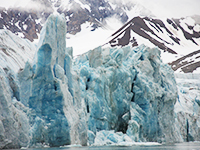 The Arctic region is currently considered to be significantly affected by global warming. 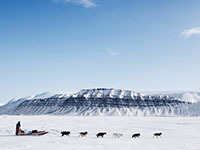 There are many indigenous communities that live on the fringe of the Arctic circle. They have been estimated to inhabit this land since circa 2500 BC. It is important to remember that each indigenous community is known by a distinct name and it might be offensive to refer to them as ‘eskimos’. Dwarf shrubs, graminoids, herbs, lichens and mosses, are the only forms of vegetation seen in this region. 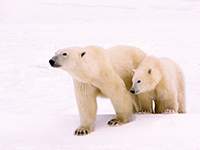 The famed polar bear can be spotted in the Arctic region along with the Arctic fox and wolf. Many seabirds find themselves at home here and many others migrate to here as well. Albatrosses, bald eagles, Pregrine falcons and snowy owls are just some of the many birds visible here. 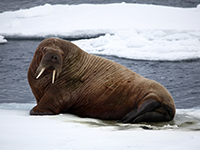 Sea mammals such as orcas, belugas, sea otters, seals and walruses can also be spotted on an Arctic voyage. 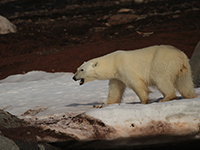 There is spectacular geography, culture and wildlife to be explored across the Arctic region but it is important to do so carefully without disturbing this delicate, unique ecosystem.